Rocco Silas's life had become a living nightmare. He couldn't escape the trauma of his past. Not only did the nightmares come to him at night, but during the day as well. He had spent seven years undercover in Afghanistan. As part of his cover, he had married and had a son. But the mission had blown up. Literally. His wife was dead. He had been told his son was dead, but he couldn't believe that. His son had to be alive. Mandy Fielding just wanted to open her therapeutic riding center, but unexpected delays kept happening. It would be nice to believe it was all coincidence, but Mandy, and her half-brother Kit, thought otherwise. That was why Kit had sent Rocco to her. She may not have initially wanted him there, but Mandy was driven to help others, and Rocco needed help. Her help. Edge of Courage was an intensely emotional read that gripped me from the very beginning and hasn't let go. Rocco has PTSD, and he cannot let his son go. He knows what he has been told, but in his heart, he is certain he somehow survived. But he also is aware that he is not ready to return to Afghanistan. He needs to heal. Mandy is just the woman to heal this wounded warrior. 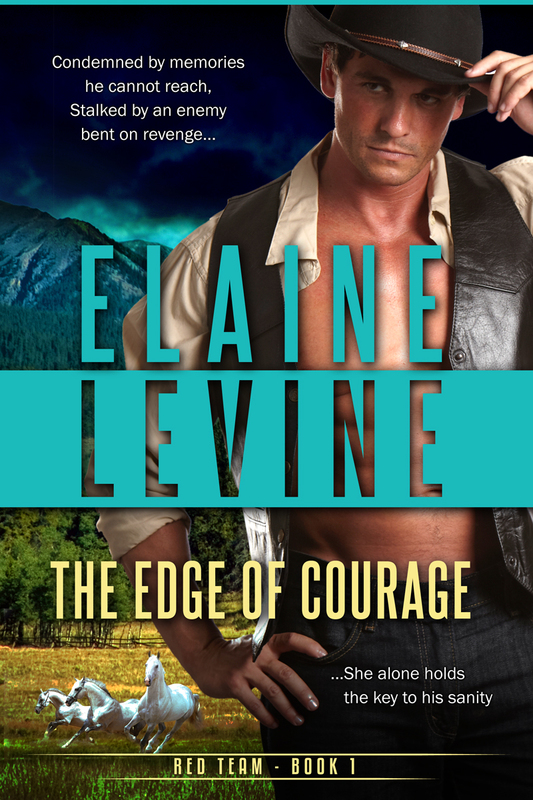 Edge of Courage is not just a passionate romance, but a romantic suspense that grew more intense with every page. Although the romance between Rocco and Mandy is complete, there is a cliffhanger that will leave readers anxious for the next book in this series. FTC Disclaimer: I did receive an ARC directly from Elaine Levine. However, this website only posts "good" reviews. If I cannot post a positive review, I notify whoever has provided me with the book/ARC/ebook.